The agreement was for up to 8,000 tonnes per year of lithium carbonate starting in April 2019, for a total of 28,000 tonnes. 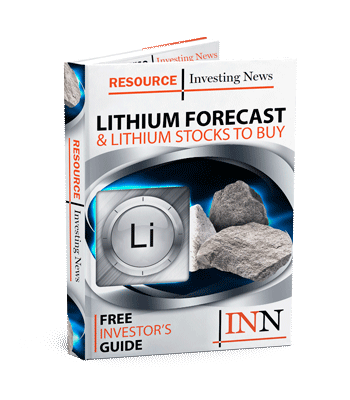 After last week’s tough financing shortfall news, Quebec-focused Nemaska Lithium (TSX:NMX,OTCQX:NMKEF) said on Tuesday (February 19) it had ended a multi-year lithium supply deal with producer Livent (NYSE:LTHM). The agreement was for up to 8,000 tonnes per year of lithium carbonate starting in April 2019, for a total of 28,000 tonnes. Negotiations between the companies had been ongoing to amend the deal, which was originally signed in 2016. For Eight Capital’s analysts, eliminating a lithium carbonate equivalent offtake could be beneficial for Nemaska from a cost scenario as it must be converted from lithium hydroxide production. In addition, the spread between lithium carbonate prices, which currently sit at around US$12,000 per tonne, and lithium hydroxide prices, which are about US$16,000 per tonne, is something to consider as Nemaska would be selling a cheaper product. “We view termination of the Livent supply agreement as positive,” Eight Capital analysts said in a note to clients. Looking at how it impacts Nemaska, “it’s tough to say as the news seems to get worse for the company. I guess the knives are out,” he told the Investing News Network. Aside from Livent, Nemaska has also secured agreements with LG Chem (KRX:051910), Johnson Matthey and Northvolt. Last week, the company’s shares plummeted after it announced a financing shortfall for the development of its Whabouchi project in Quebec. The company estimates another C$375 million will be required to complete construction and meet the drawdown conditions provided in the streaming deal with Orion Mine Finance and the senior secured bonds closed last year. The extra money needed to complete development is largely related to installation and indirect costs, which are now being based on finalized agreements rather than estimates used for the technical report of the project. Speaking about what this shortfall means for the new lithium projects coming online in the near future, most analysts agree it is another sign of future production challenges, something that is not new to lithium players. “The process of being new lithium resources to market is difficult at both a raw material and chemical conversion level. [The market has] seen this in recent expansion efforts from the likes of (NYSE:SQM) and Albemarle (NYSE:ALB), so it’s likely development stage companies will run into similar delays,” Benchmark Mineral Intelligence Senior Analyst Andrew Miller told INN at the time. Looking ahead, the company said management will get on the road immediately to seek funds and plans another update by the end of February with potential financing options and cost re-assessment details. The Whabouchi project is estimated to be the second richest and largest lithium deposit in the world. The company expects the spodumene concentrate produced at the future mine to be processed at the Shawinigan plant. On Tuesday, shares of Nemaska were down 3.12 percent in Toronto. Year-to-date the company’s share price is down 56.16 percent. Similarly, Livent shares were down 1.40 percent, down more than 8 percent year-to-date.